IF YOU CAN DREAM IT, WE CAN CREATE IT ! 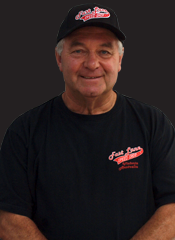 The experienced staff at Fast Lane Speed Shop are dedicated to providing our customers with superior levels of service and quality. 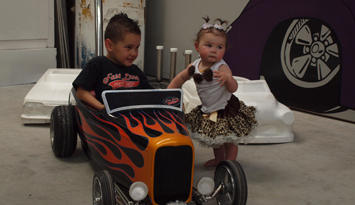 We understand your passion and can build your Hot Rod Dream to the highest standards. 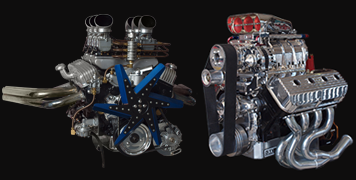 From traditional Hot Rods to super modern Elite Street Rods, Customs and Muscle Cars, the professionals at Fast Lane Speed Shop can build your next individually designed project. It takes more than a name to build cars to the highest standard. 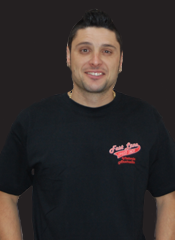 The super talented staff of Fast Lane Speed Shop are in tune to ensure your project flows smoothly and efficiently. 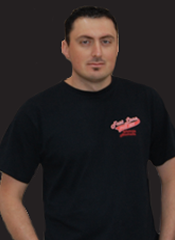 Daniel Cassar - Shop Manager /Fabrication / Painter - Daniel is one of Australiaâ€™s leading talents in building â€œELITEâ€ Hot Rods, Street Rods and Muscle cars. 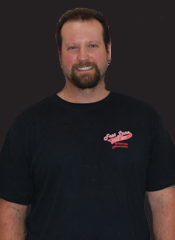 Danielâ€™s creations and workmanship have been featured in several magazines and have won countless awards. Danielâ€™s most recognized car to date was his personal Hot Rod, the â€œPassion Purpleâ€ Hi Class 1932 Ford Roadster pictured on the home page, this vehicle won numerous awards including Summernats Top 10, Top Hot Rod - Victorian Hot Rod Show 2005 as well as a number of awards for Top Interior, Top Paint, Top Undercarriage, Grand Champion at Sheppartonâ€™s Spring Nats and Adelaideâ€™s Extreme Horsepower. In addition to the show stopping good looks, Daniel builds his cars to drive and drive well, with the Hi Class roadster making many long road trips as well as regularly running blistering 10.80 second quarter mile times. The most recent Fast Lane Speed Shop projects include the amazing â€œKing Kong Cudaâ€ is a radical Hemi powered 1970 Cuda for owners of Rocket Industries and NHRA/ANDRA Top Fuel Competitors Graeme and Wendy Cowin. This amazing was debuted at the 2010 Summernats and won Top Judges Elite among many other awards. Danielâ€™s cars of choice are his old school, chopped, steel 1933 Ford 3 window hi boy coupe and a steel 1941 Willyâ€™s Gasser among other highly collectable cars. Adam Cassar - Fabrication / Body work / Prep - Adam has been involved in all of the Cassarâ€™s cars and has just completed a stunning XP Falcon Coupe, this whole car is simply gorgeous and will be unveiled soon, featuring a wild Windsor it goes as good as it looks. Adam has commenced the build on his 1941 Willyâ€™s coupe which has a strong Pro Street influence. Adam knows from experience that the key to providing the highest level workmanship is an intense focus on the values that guide his actions. These are his Core Values and Beliefs. He respects our customers and believes that staff who are treated with respect and given responsibility respond by performing the best work possible. He requires complete honesty and integrity in everything he does. 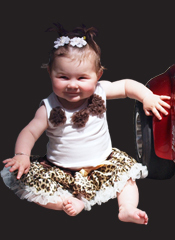 Therefore he insists on giving his best effort when performing the art of Auto Restoration. When building your dream ride with this criteria every detail is accounted for. Our clients will be polishing their pride and joy for many years to come so we want them to know beyond a shadow of a doubt that we provided the highest level workmanship. Ebony Cassar - Office Manager - Ebony is also a second generation Hot Rodder and currently has a 1956 Chevrolet wagon as her everyday transportation. As our office manager she organises and supervises all of the administrative activities that facilitate the smooth running of our office. As office manager she carries out a range of administrative and IT-related tasks, depending on the requirements, and her work may vary from running the administrative side to overseeing the work of numerous staff. Although the nature of office managersâ€™ work differs greatly across organisations, Ebony has the responsibility for ensuring that the office runs efficiently. Ebony designs our filing systems and ensures that these systems are up to date. She lays down the procedures for maintaining records. She maintains the office budget and records all expenses. She has to ensure that personnel files are up to date and secure, and that transfer and disposal of records as per the retention schedules and policies are carried out effectively. Ebony holds meetings with the senior management to review performance of the company and the staff. She delivers reports and presentations regarding the finances and the working of the office to the senior management. She is involved in the meetings that the management conducts about the organization's policies and the steps that it plans to take for its strategic development. Robert Forbes - Consultants. 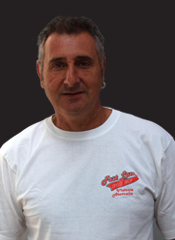 Robert and Frank have both been involved in Street Rodding in Australia since their teen years and have a very in depth knowledge of the industry and what is required to build top level cars. Both Robert and Frank have had many, many Hot Rods over the years, many quite well known including a gorgeous red 1934 Ford Tudor that won many awards at the Victorian Hot Rod Show in the 1990â€™s and Franks blown 1940 Ford coupe (Street Machine feature 2001). Both are still building Hot Rods currently with Robert building a hot side valve powered steel 1934 3 window coupe and Frank placing the finishing touches on a 1932 Ford Roadster and a Pro Street 39 Ford Coupe with blown small block power. Frank Cassar - Consultant. Frank bought his first car when he was 18 years old, an EJ Sedan and a few years later he bought a HK-GTS Monaro which he put the time into hotting up. The next main car he purchased was a '39 Willy's Sedan. This car was the ugly duckling of the Willy's, but Frank put the time into the car and turned it into a swan. His next purchase was a '34 Chevy Sedan, but after these two cars Frank stopped hot rodding and started concentrating on building his dream home. 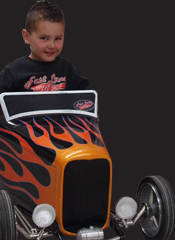 Once the house was finished Frank got the itch again as hot rodding was in his blood. He purchased a '40 Ford Coupe Body and searched high and low for parts to complete the project. Frank wanted to bring this car back to life and put in a 350 Chevy motor fully blown, rich leather interior and a sound system that would knock your sock's off! The '40 Ford Coupe was entered into the Adelaide Show and came home with 13 Trophies, the car was also entered into the Melbourne Hot Rod Show where it won 'Top Coupe'. Frank also owns a '32 Ford Roadster which he did up for cruising as well as a 56 Buick. Frank's current restoration project is a 1940 Desoto which was left to him by his wife's uncle. 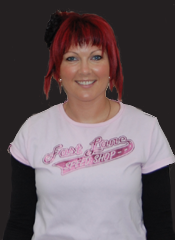 Max is experienced in most facets of the business and can be found in almost every department. Whether it be disassembly, fabrication, assembly, general workshop duties or working behind the retail shop counter, Max is gaining all the experience need to put together his 1932 Ford 3 window coupe. Maxâ€™s mini tubbed, full fendered, Halibrand shod, red coupe will be using his 600 HP Windsor out of his drag race Capri. Keep an eye on the progress of Maxâ€™s car by checking back often!